Where the Paradigms did not fail was in their ability to throw as big a soundstage as the Revels, and in the inaudibility of their crossover transitions. Taken by themselves, the Paradigms did an impressive and musically satisfying job. 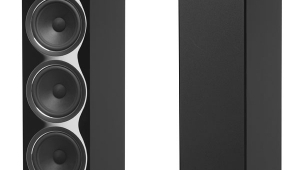 If I couldn't afford better and more costly speakers, I could live happily ever after with the 60 v.3s as the speakers in my two-channel listening system. I then trucked the Paradigms up to Connecticut, to audition them in a different acoustic and to hear how they worked as part of a multichannel setup. 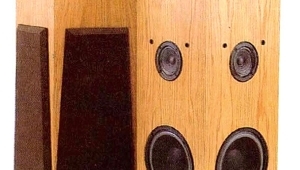 Much as I like to describe a component's inherent characteristics before making comparisons, the Studio/60 v.3s were replacing their immediate forebears, the v.2s, and comparisons were unavoidable. 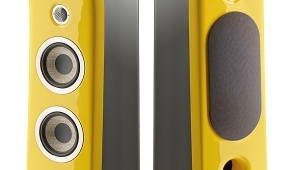 At first, the v.3 seemed to have a bit less bass extension than the v.2, though it had substantially greater fullness and weight in the bass above 80Hz. The v.3 was slightly more forward in the midrange, but also much clearer and more detailed. In the extreme high frequencies, brushed cymbals sounded comparable on both versions of the Studio/60, but small movements of my head influenced my perceptions, so I can't be adamant about that. 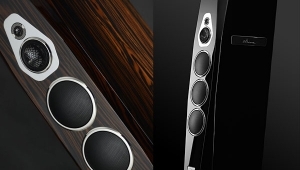 Overall, the v.3s produced a slightly wider, deeper soundstage, and remained more engaging over long listening sessions. However, in the midst of evaluating the Studio/60 v.3, the acoustics of my multichannel listening room were drastically improved by the installation of a number of Real Traps (footnote 1), which changed everything. While the v.2 also sounded better in this new acoustic environment, the distinctions between v.2 and v.3 became much more distinct. With wideband white noise and a little head movement, I could hear the crossover from the v.2's tweeter to the other drivers from as far away as 6'. With the v.3, however, the white noise seemed to come from a single source, as long as my ears were at least 1-2' from the speaker. In this setup, at my normal listening distance of about 9', I heard subtle suggestions of the same difference with music. The v.3 was, as it had been in my two-channel system, integrated and seamless, with no excess sibilance, and normal sibilants were not disconnected from the main voice. Esquina de SP (SACD, Saidera SD-1027H) is a live recording of Brazilian singer Wilma de Oliveira, accompanied by guitar, drums, and a small vocal group. The two-channel tracks are spacious, with an intoxicating club atmosphere that the multichannel track enhances only slightly. (This SACD is strange; the multichannel tracks and the two-channel DSD and "Red Book" tracks have 11 songs in common, as well as several not found on the other tracks.) De Oliveira's warm, lilting voice was front and center, but I could easily hear her respond to each of the other performers without ever going off-mike. Overall, I enjoyed a delightful evening of classic samba and bossa nova, Studio/60 v.3s revealing the harmonies and the percussive spice; the v.2s were caught out by several effects that excessively highlighted the cymbals. The acoustic improvements wrought by the Real Traps also revealed my misjudgment of the Studio/60 v.3's bass performance. Apparently, the speaker's upper-bass output had been exciting room modes that now were damped by the Real Traps. As a result, the v.3 now went as deep as the v.2, and more smoothly—even though, on paper, the v.2 has a bit greater extension. Listening to Buster Williams' piccolo bass variations on a theme from Rodrigo's Concierto de Aranjuez, on Griot Liberte (CD, High Note HCD7123), I was impressed with the tightness and power across the instrument's range. 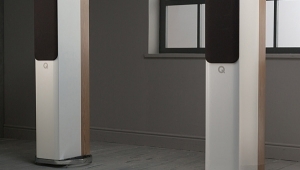 Admittedly, this was no bass stress test in the audiophile sense, but as one follows Buster's explication of Rodrigo in detail, it is a musical stress test of the speaker and room. Rudy Van Gelder's production and the Studio/60 v.3s delivered, whether in two or five channels, with no help needed from a subwoofer. Indeed, switching in my Paradigm Servo-15 subwoofer below 40Hz via an Outlaw ICBM bass manager was counterproductive—it emphasized room sound more than the instrument. The Studio/60 v.3s handled the really big stuff, such as the Berlioz Requiem with Robert Spano and the Atlanta Symphony Orchestra and Chorus (SACD, Telarc SACD-80627), with power and aplomb, whether in two channels or many. 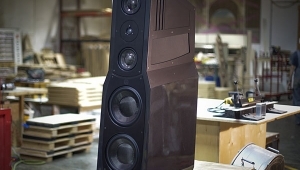 Their multichannel performance was particularly extraordinary: I ran the Studio/60 v.3s full-range as the main left and right speakers, aided by a Studio/60 v.2 in the center and a pair of Studio/20 v.2s in the rear. The purity of the voices was never corrupted by the need to simultaneously invest huge acoustical power in reproducing the orchestra and brass bands. When I added Paradigm's Servo-15, it mostly just gilded the lily—the Studio/60 v.3s didn't need much help to sound absolutely spectacular. I originally bought my Paradigm Studio/60 v.2s because I wanted small floorstanding speakers that had full-range sound, and they filled the bill. The Studio/60 v.3 is significantly bigger and significantly better than the v.2. 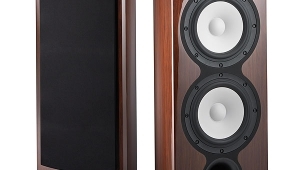 Perhaps the most important improvement is in the v.3's overall smoothness and balance, from the low bass all the way to the top. 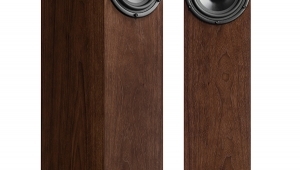 This is difficult to achieve, and has been the downfall of many speakers, especially low- to mid-priced floorstanders. 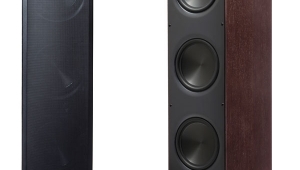 It's also why many listeners forgo deep bass altogether in this price range, preferring to go with small two-way monitor speakers. 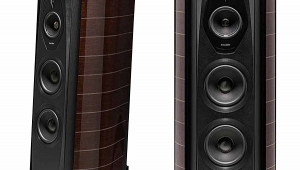 The Paradigm Reference Studio/60 v.3, however, has a seamlessness and a wide frequency range that I usually associate with speakers many times its price. 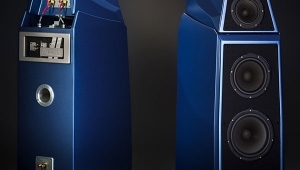 Over the years, I've reviewed a number of speakers in the $1000-$2000/pair range because this is where, it seems to me, the going gets tough. 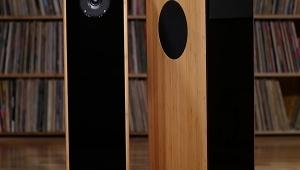 Speakers costing less than $1000/pair usually include serious compromises, and those costing more than $2000/pair, no matter how good they are, can be enjoyed only by the relative few who can afford them. 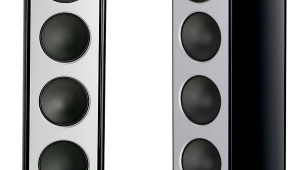 In this range, several other speakers have outstanding and desirable traits, but no speaker costing anywhere near $1600/pair has a better integration of all performance parameters than Paradigm's Reference Studio/60 v.3.